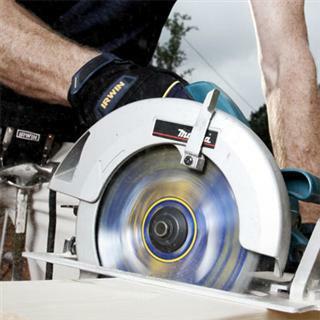 The Best Circular Saw Blade on the market! The secret to the brilliance of this saw blade is in the welded teeth. Other blades can easily lose teeth meaning regular sharpening and teeth replacement. See the videos below for more info. 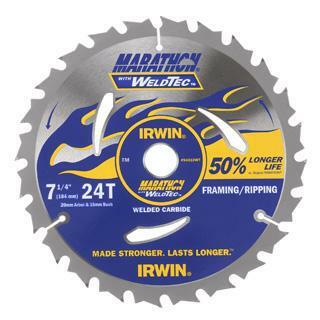 Unlike standard brazed blades, the revolutionary Marathon® with WeldTec™ saw blade from IRWIN® has welded carbide teeth. Welding fuses the carbide teeth to the blade, making the bond as strong as the steel plate. This bond is unaffected by the build up of heat, resulting in greater life and durability. 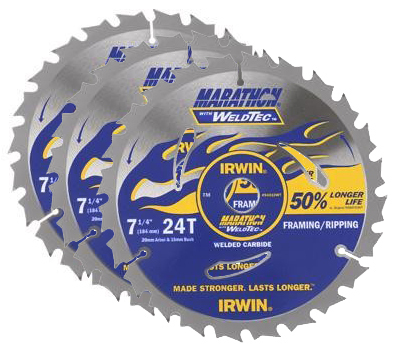 Marathon Weldtec Circular Saw Blade 7¼” 24 Teeth 184mm – 3 Pack Cheap!